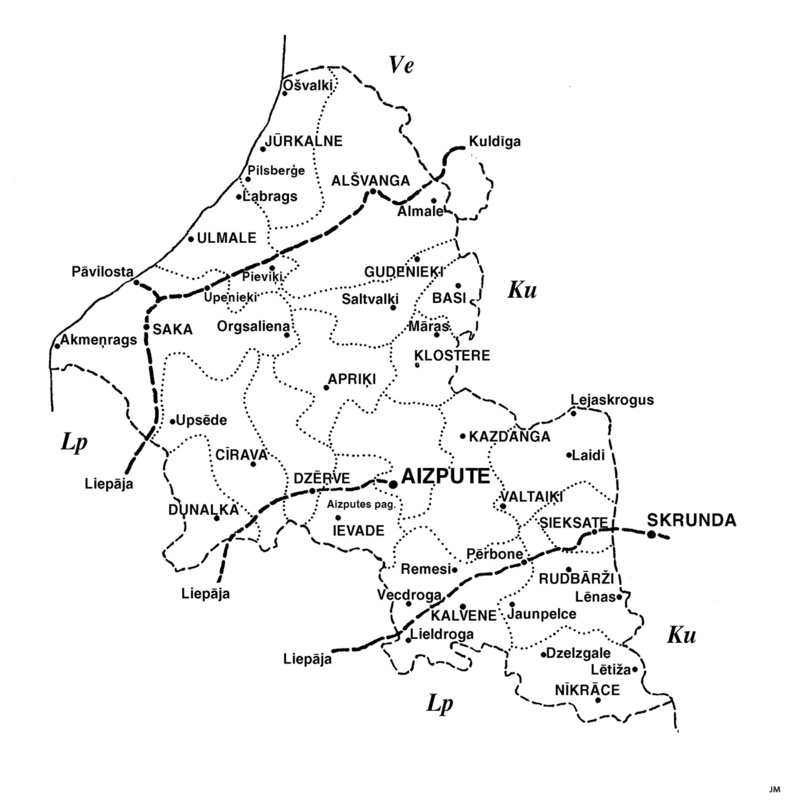 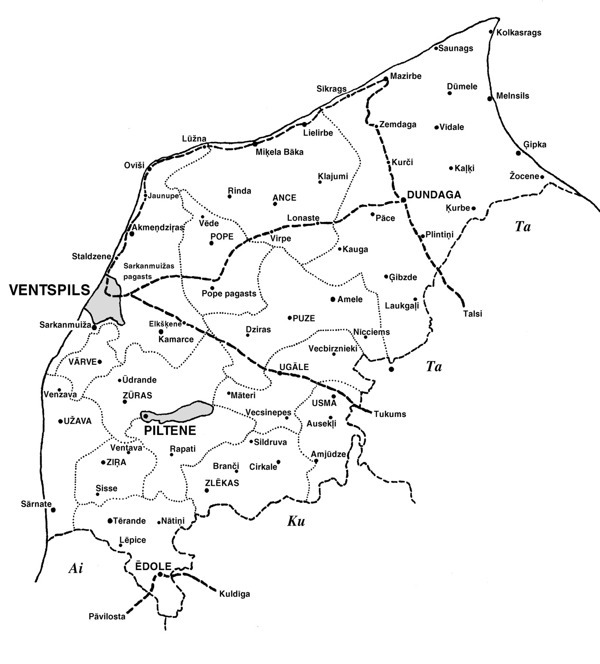 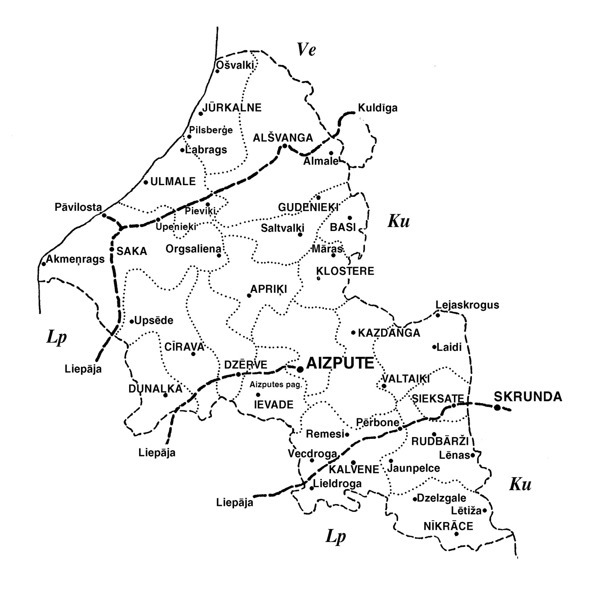 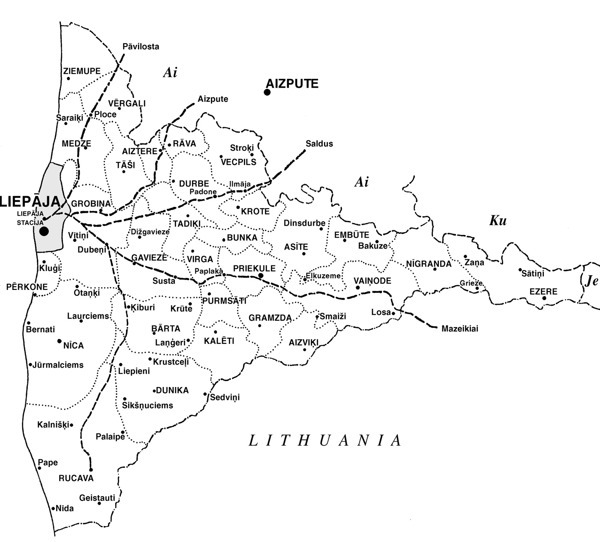 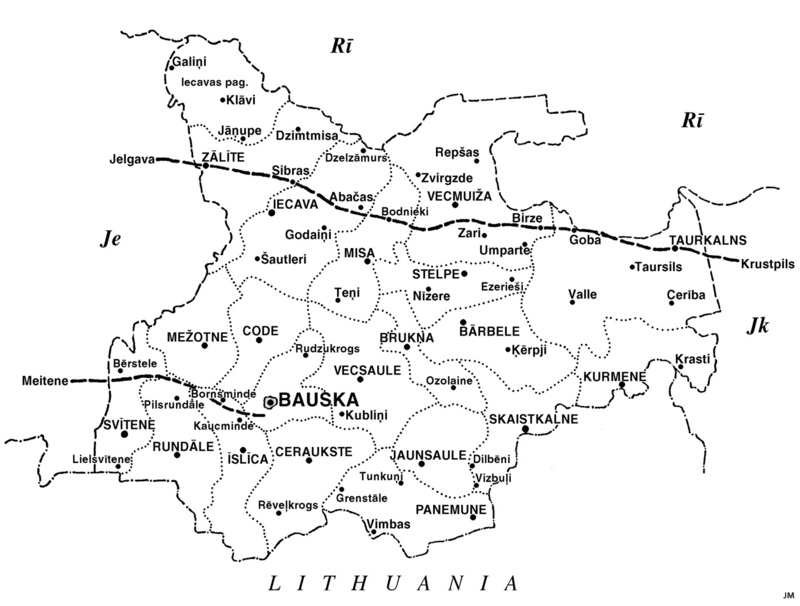 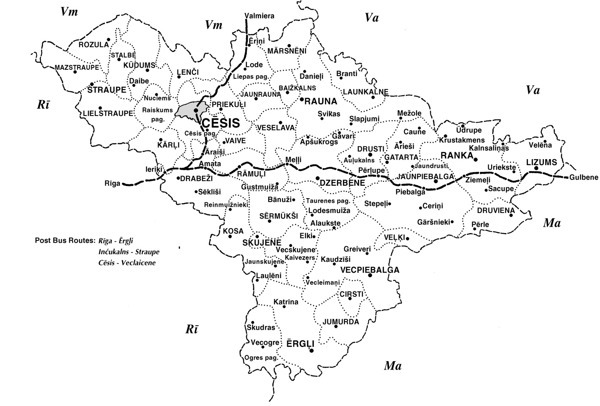 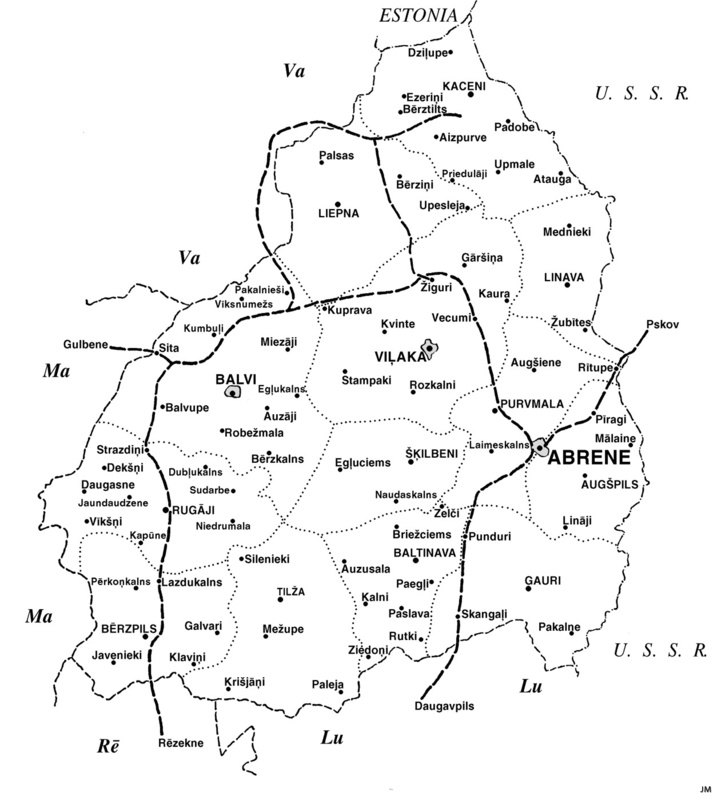 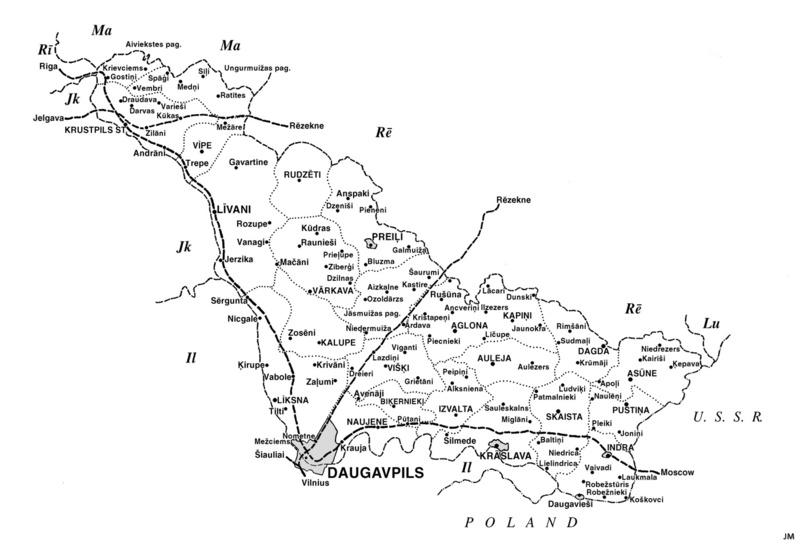 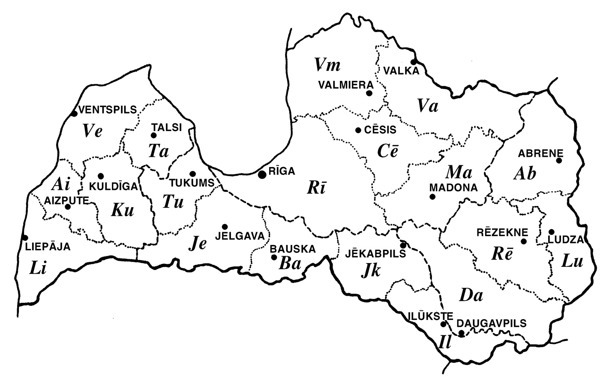 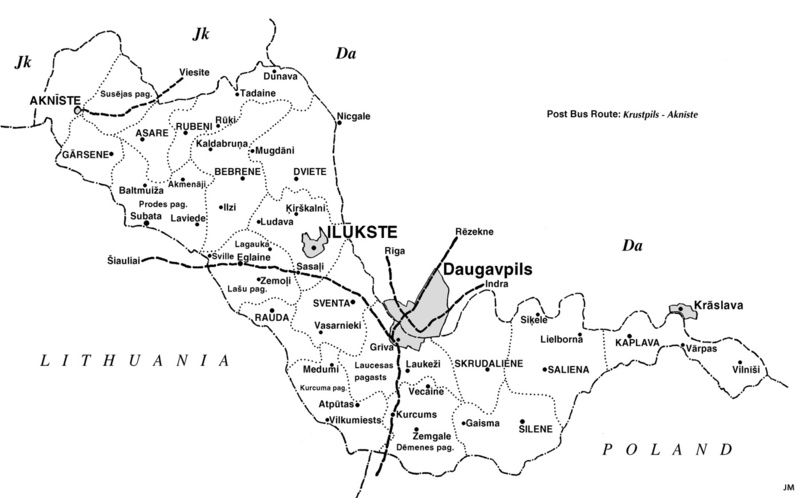 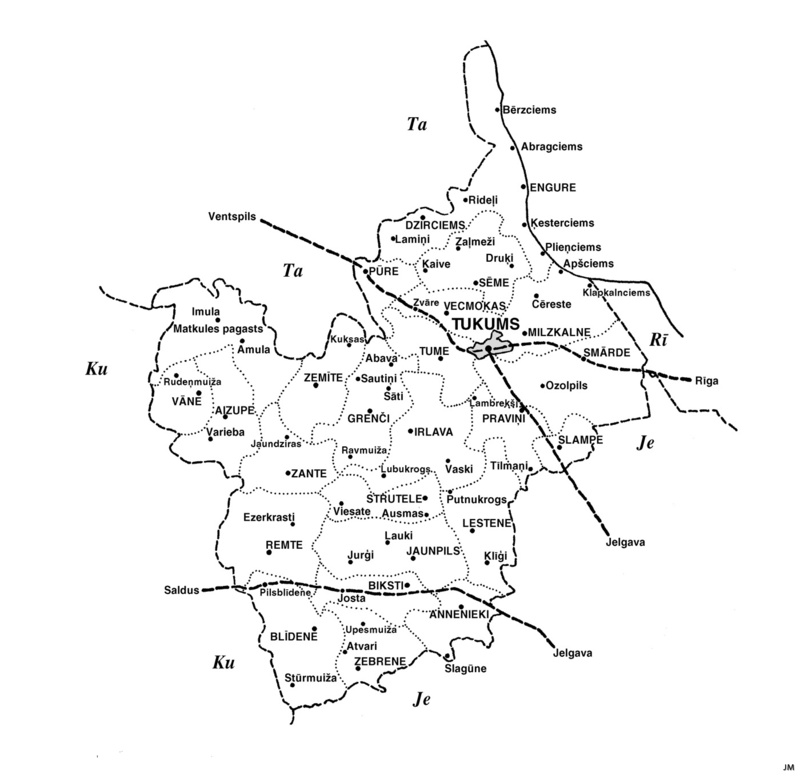 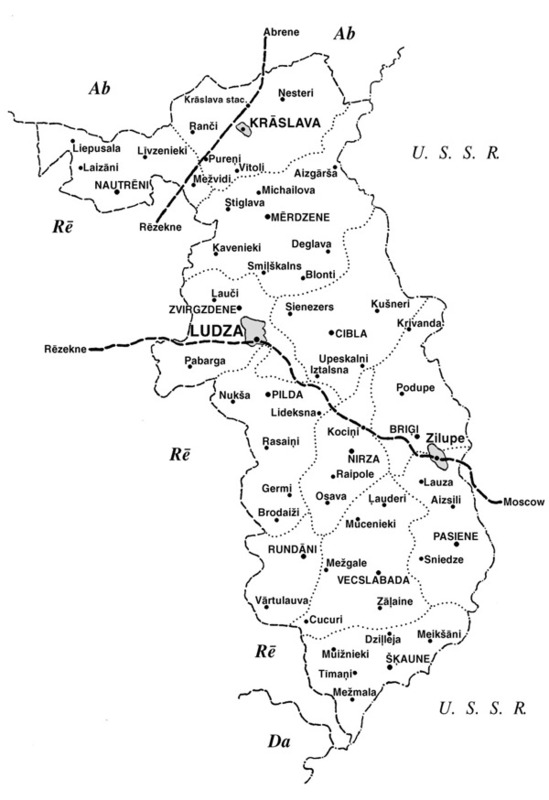 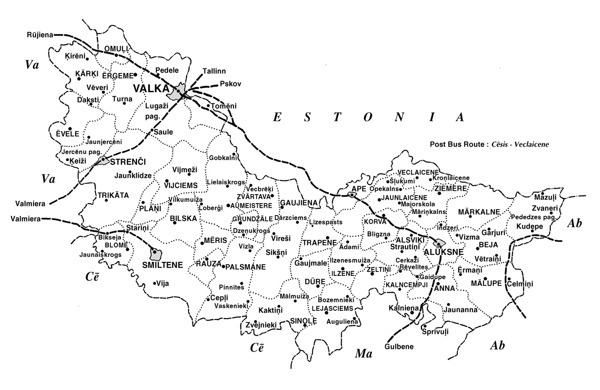 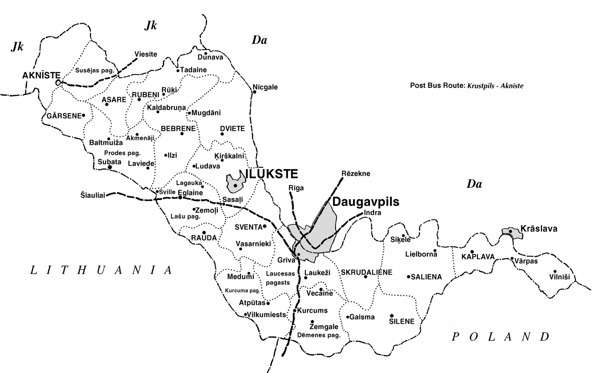 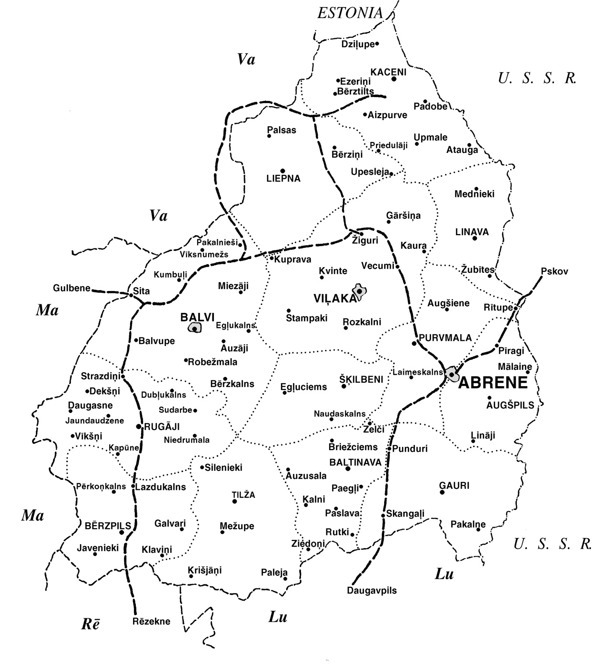 In the following a map of Latvia showing the 19 districts and 19 maps of each district are presented. They appear in the sequence from west to east. 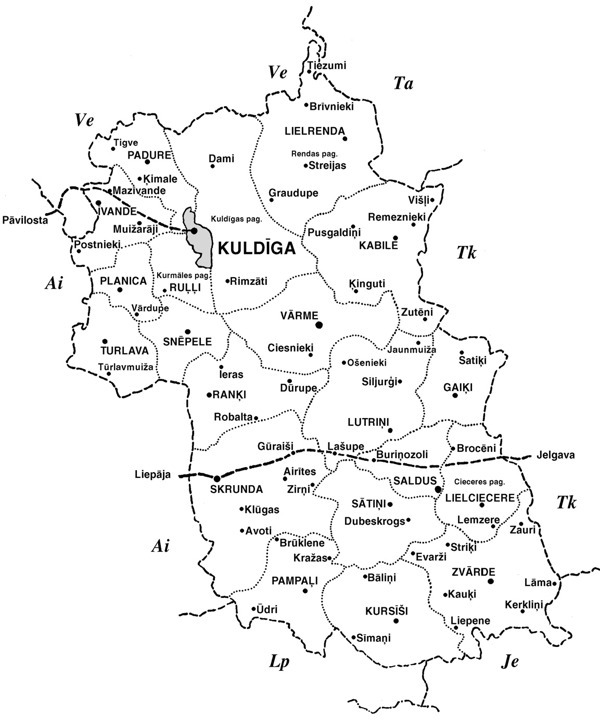 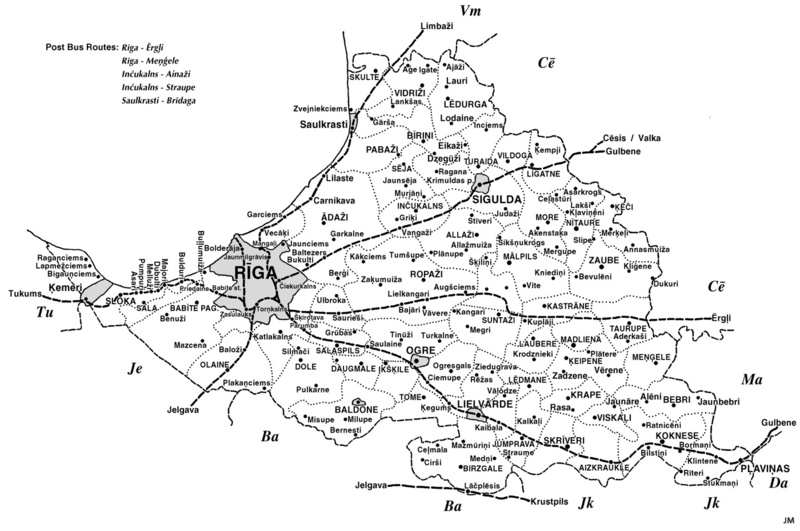 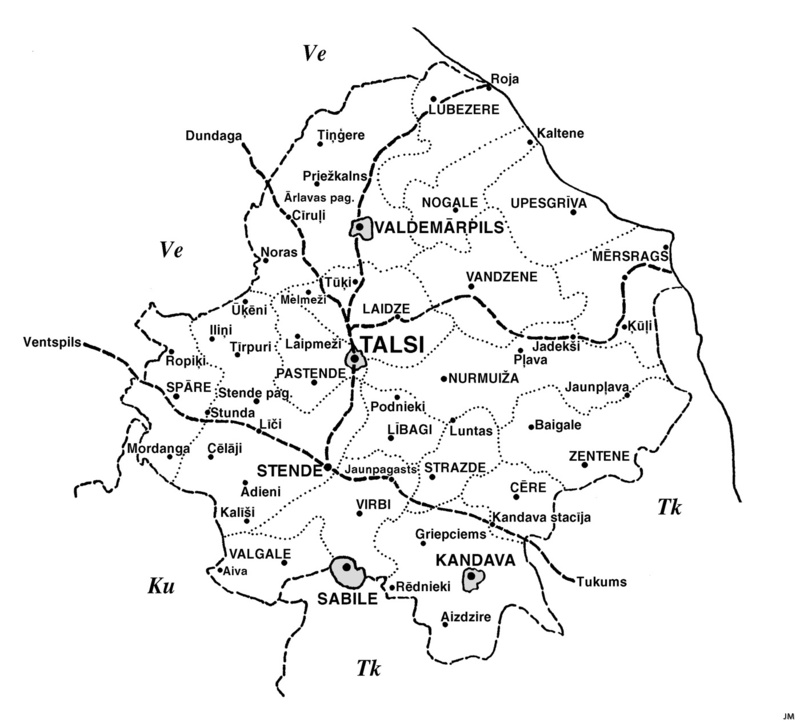 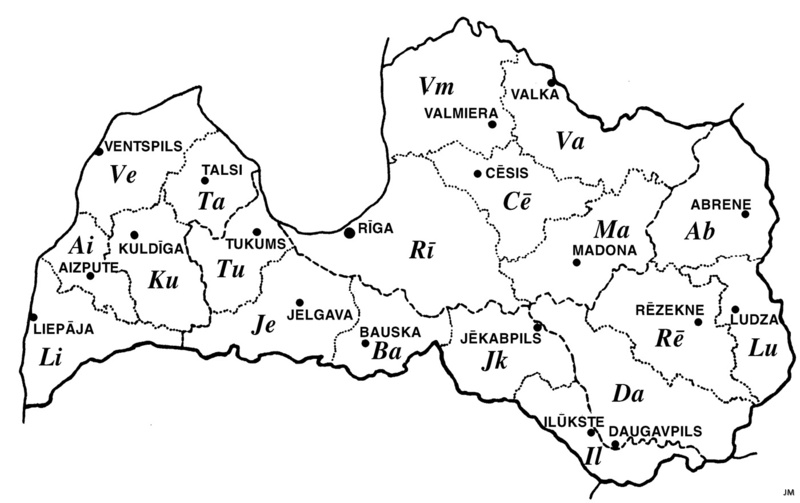 Each district consits of a number of communities (pagasts in Latvian). 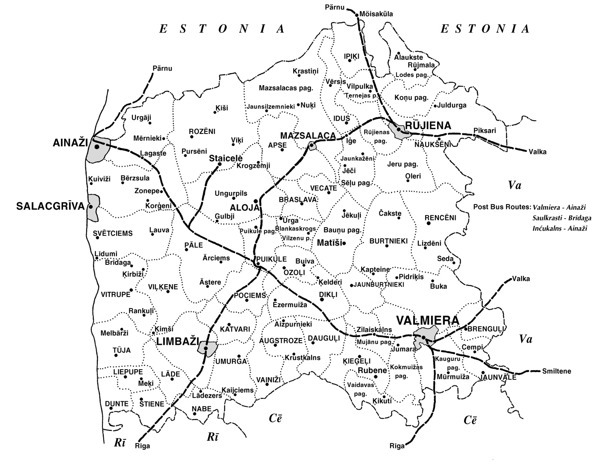 The site of the community administration determines its name. It is in the maps shown by capitals. 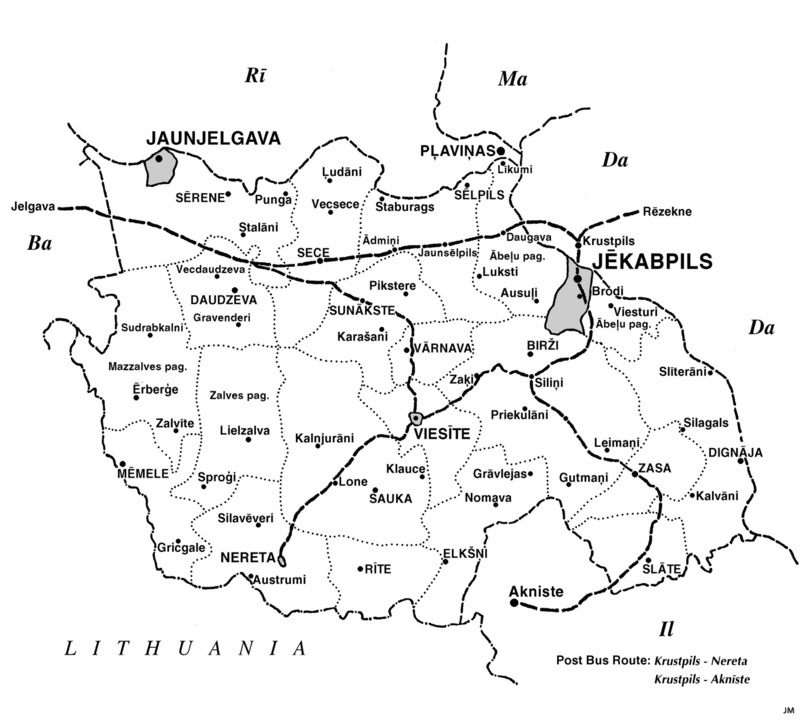 There were usually several post offices in one community - all were not possible to show in these maps, only some few. 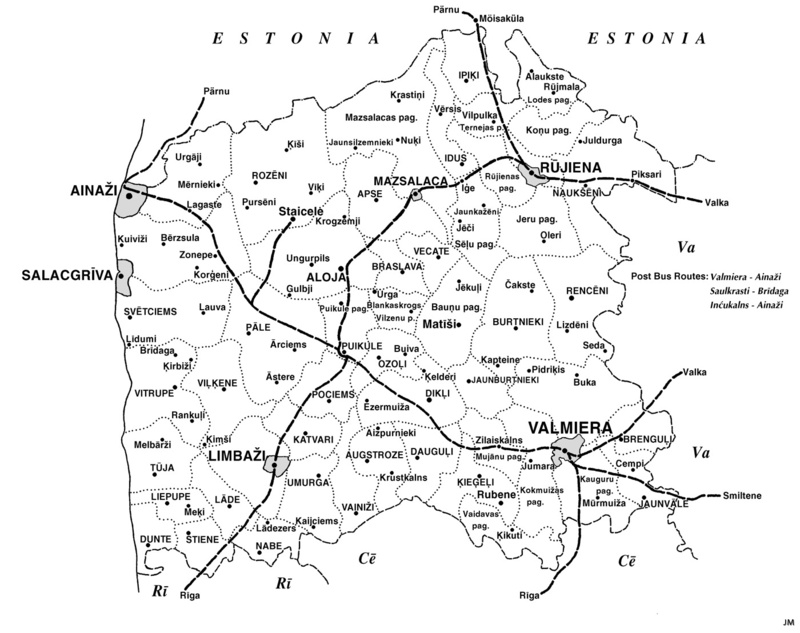 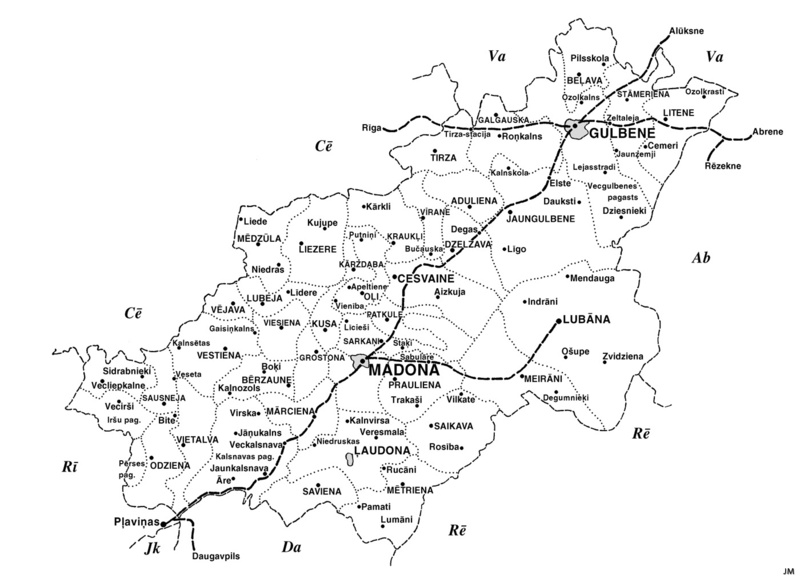 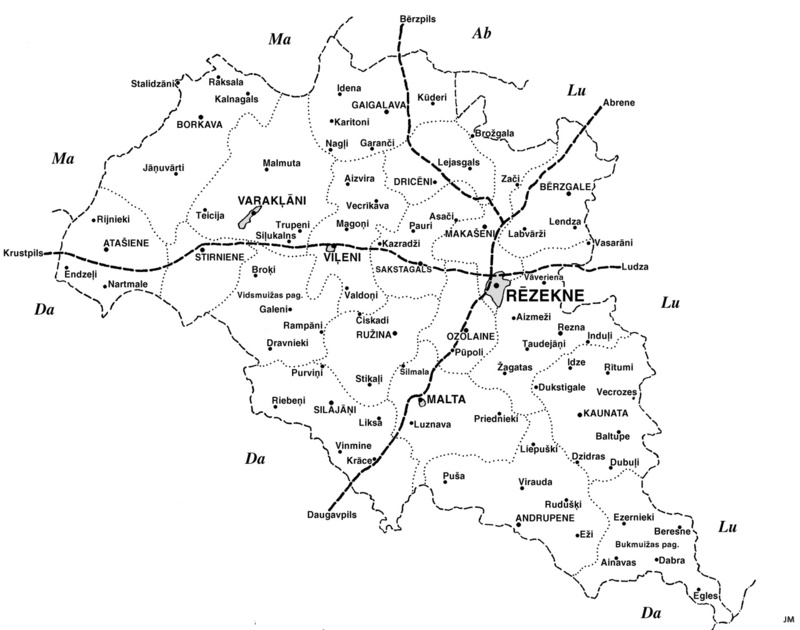 The dashed connecting lines are showing the railway routes through the districts.